Most men suffering from prostate cancer can be essentially cured if their tumors are caught early enough and their prostate glands are surgically removed or destroyed by radiation therapy before the disease spreads. But for some men, removing the prostate gland isn’t enough. Months or years after surgery or treatment, levels of prostate-specific antigen (PSA) may begin to climb again—an indication that prostate cells, possibly cancerous, are still lurking in the body, poised to multiply and spread to the bones or other organs. For those men, there are few treatment options, and they’re not ideal, says Rick Lesniewski, co-founder, president, and CEO of Madison Vaccines, a Madison, WI-based startup developing prostate cancer drugs. The patients can “watch and wait” with their rising PSA levels before pursuing further, more radical treatment, or they can move ahead with hormone deprivation therapy that depletes their testosterone levels and can ultimately end in surgical or chemical castration. Hormone deprivation can slow metastasis (the spread of cancer), but it also carries a host of undesirable side effects, including hot flashes, loss of muscle mass, increased amounts of fat, libido loss, and growth of breast tissue, Lesniewski says. That’s why Madison Vaccines (MVI) is working to develop a new treatment option for early-stage prostate cancer patients—after their prostates have been removed, but before the cancer has spread to the bones or other organs. The idea is to prevent, or at least delay, the onset of metastases and the need for castration by priming the immune system to recognize cancerous cells and kill them. Building on research from the lab of Douglas McNeel, an oncologist and professor of medicine at the University of Wisconsin-Madison, MVI is creating vaccines from tiny circular bits of DNA called plasmids. 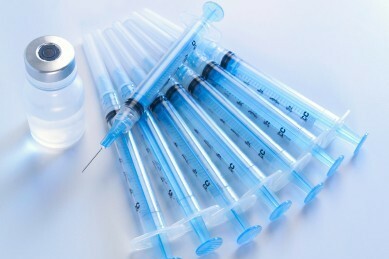 The company’s lead DNA vaccine, MVI-816, contains instructions for a protein named prostatic acid phosphatase (PAP), which is made by prostate cells. When injected into the skin, the DNA is taken up by the body’s cells (the company is still researching exactly which types of cells do the absorbing), which use the DNA to make copies of the PAP protein. That protein, in turn, acts as an antigen to stimulate an immune response against PAP, the company has shown in Phase I trials. The company will now test MVI-816 in a Phase II trial in prostate cancer patients to learn whether or not the immune response against PAP is strong enough to delay the spread of cancer. The hope is that the primed immune system will find and kill lurking prostate cells that are making the protein. If so, then prostate cancer that recurs after surgery “becomes a manageable disease, rather than a disease which is ultimately fatal,” Lesniewski says. The startup has raised about $9 million from investors, who include Venture Investors, the Wisconsin Alumni Research Foundation (WARF), the State of Wisconsin Investment Board, Venture Management, Wisconsin Investment Partners, and Gen6 Capital Partners. WARF contacted Lesniewski, a biopharmaceutical veteran who had held various leadership positions at Abbott Laboratories near Chicago and GlaxoSmithKline in Philadelphia, in 2011 to gauge his interest in turning McNeel’s research into a business. But MVI is hardly the first company to try to harness the immune system to fight cancer or to create DNA vaccines. Scientists have been trying for decades to improve the immune system’s ability to find and destroy cancer cells. And ever since researchers discovered in the early 1990s that injecting DNA plasmids into mice could stimulate an immune response, DNA vaccines have been tested against everything from HIV and influenza to malaria and cancer. Yet despite immense promise of these approaches and hundreds of millions of dollars of investment, these fields are littered with failures and dashed dreams. GlaxoSmithKline’s MAGE-A3, a vaccine based on a protein made by melanoma cells, and Merck KGaA’s Stimuvax, a similar protein vaccine for lung cancer, are just two of the efforts that failed in late-stage trials, although Merck is taking another stab with the Stimuvax technology in a new Phase III trial.